The kitchen is certainly a place for creativity, community, and of course, cleaning! All the delicious fun of cooking your favorite meals inevitably comes at a price- the clean-up. 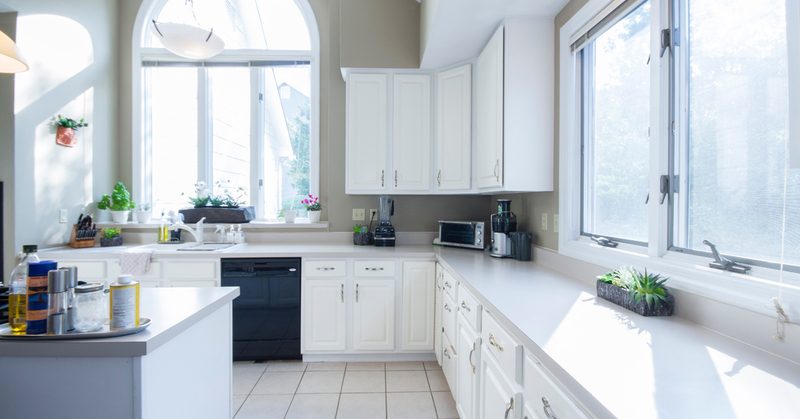 Choosing the best kitchen degreaser is important to make sure that you minimize the time spent on what is one of our least favorite parts of having a home. The answer to cleaning that stubborn grease while also maintaining the integrity of your surfaces is the JAWS Kitchen Cleaner-Degreaser! JAWS® (Just Add Water System™) Kitchen Cleaner-Degreaser is a non-toxic, powerful, multipurpose cleaner that eliminates grime and grease from kitchen surfaces. Our degreaser is a fast-acting solution that is streak-free and safe for all your surfaces (such as stainless steel, vinyl, marble and granite). It’s even strong enough to take outside to clean the grill! The ingredients in the JAWS Kitchen Cleaner-Degreaser include: water, pH buffers, biodegradable surfactants and solvents, colorant, and fragrance. Before using, pre-test on the surface. If the surface becomes damaged or discolored, do not use. Spray the solution 6 to 8 inches from the surface and wipe it clean. For tougher spills and stains, let the solution rest on the surface longer. Perform a deep clean on your cooking pans and grills with our best kitchen degreaser. After using the product, always rinse with water those surfaces that make contact with food. You can simply refill, reload, and reuse after your initial JAWS spray bottle is empty! Order the Jaws Kitchen Cleaner-Degreaser today on our website! Choose from our Starter Kit, multiple Refill Pods, or our 24 Refill Pods option as significant savings for commercial customers. You can also subscribe for automatic delivery of refill pods and save 10 percent.